The convergence of two news items in the last week illustrated a long standing problem for the packaging industry: it’s image. Firstly, The Guardian reported the launch in Germany of ‘Original Unverpackt’, a supermarket claiming to sell groceries without packaging. All of the dry goods in the Berlin-based retailer are stored in large dispenser bins, and customers fill containers they have either brought with them or purchased in the store. Liquid goods such as juice or yogurt are sold in jars or bottles with a deposit on them (already an all-but-mandatory system in Germany anyway). Founders Sara Wolf and Milena Glimbovski say there’s a rising demand for products and services that deal with sustainability and that people demand alternatives to the ‘lavish’ handling of our resources. Secondly the Daily Telegraph reported that Solveiga Pakstaite from Brunel University has won the UK leg of James Dyson’s annual engineering awards for inventing the Bump Mark. Her invention aims to solve the problem of inaccurate sell-by, best-before, and use-before dates. 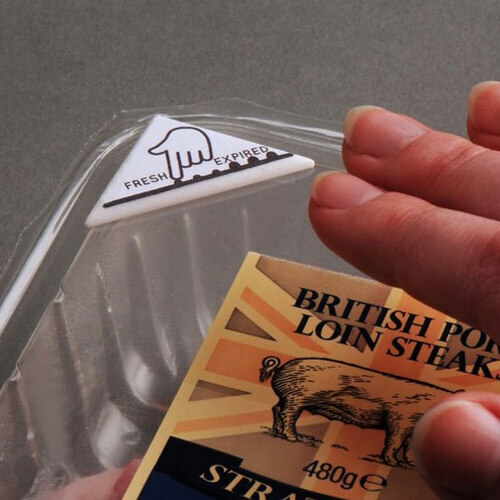 The technology can be applied to standard food packaging, and allows consumers to monitor the freshness of their food. When the food inside the packaging is fresh, the label is smooth to the touch. As the food begins to deteriorate, bumps appear, and it is time to throw the food away. This is a significant improvement on the current printed best-before and sell-by dates, which can only give a rough estimate of the lifespan of food. This innovation has the potential to reduce the scandalous 7 million tonnes of food wasted in this country each year. The average UK family wastes £700 a year by throwing away food that could be eaten safely. More than half of food waste from households in the UK is still fresh, despite passing its use-by date. Whilst I have no doubt that the Berlin store is a well-intentioned initiative, it fundamentally misunderstands the role of packaging in preserving and protecting food. Clearly packing and innovations such as the Bump Mark are a key part of the solution, not the problem. The packaging industry should be more effective in promoting the vital role it plays in preserving and delivering food to our tables. Whilst the industry has a duty to minimise packaging, gimmicks like Original Unverpackt do little more than preserve prejudices about packaging. It’s time the industry and retailers got together to make the case for packaging. Surely an industry that specialises in branding and promotion deserves a better reputation than it currently enjoys.